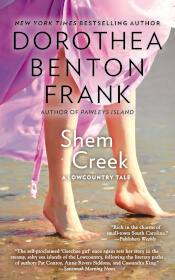 "Welcome to Jackson Hole on Shem Creek!" Welcome to Jackson Hole on Shem Creek! We pride ourselves on serving up good food at fair prices in a congenial atmosphere and we hope you'll come out and give us a try. Don't forget to visit our sunset deck up top and enjoy the spectacular views with a cool beverage while all your cares and worries slip away into the horizon with the Carolina sun. Over on the right side of this page you'll find the highly covered recipe for Louise Waring's Carolina Crab Cakes and Duane's rendition of Cioppino. These are just two of the house specialties that we serve over and over to satisfy your cravings for something made from local seafood, sure to please the most discriminating palate. Just a side note - y'all might remember Lucy from ISLE OF PALMS? So many people wanted to know what happened at her wedding reception that had the town talking for a month. Well, it wouldn't be polite to tell on a lady - discretion being the better part of valor and all - but, we can tell you what we served to her guests. The menu and recipes are included here. And, Mimi's Bakeshop has been a huge hit. Anytime y'all are in the neighborhood, stop in and try a free sample of her pound cake. Can you keep a secret? It puts my momma's to shame, and you can bet your bottom dollar that, old as I am, she'd turn me over her knee if she heard me say it. Her biscuits are sensational, I mean, melt in your mouth! So the next time y'all visit Mount Pleasant, South Carolina, come on out to Shem Creek and see why we're the pride of the Lowcountry! The whole gang will be waiting to welcome you to Jackson Hole! PS: We only close for Christmas Day, New Years's Day, and major hurricanes. PPS: The restaurant's not really Italian - it's only my disposition.